WINTERSVILLE — Department, committee and contest awards and a presentation on Refuge for Women, Ohio Valley, were highlights of the GFWC/Ohio Federation of Women’s Clubs’ Southeast District Legislation Day meeting and luncheon. 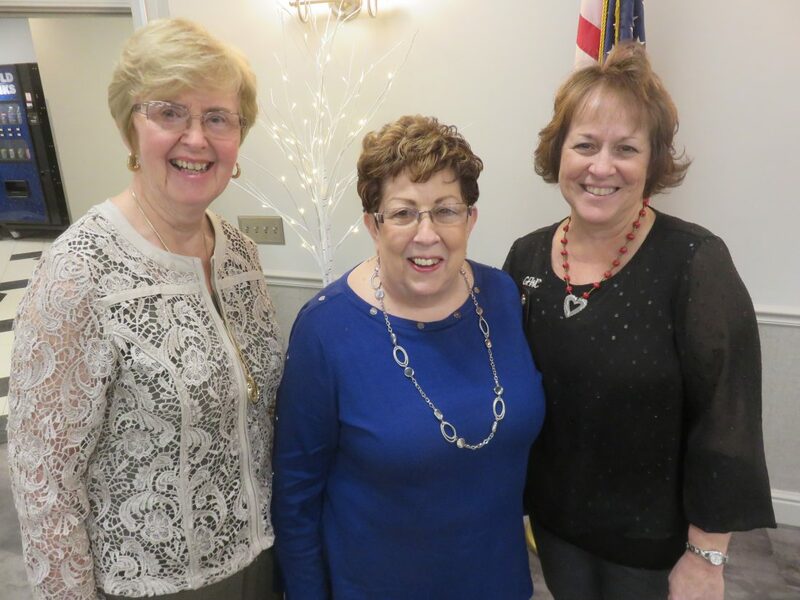 The GFWC Wintersville Woman’s Club served as host of the March 23 event held at St. Florian Event Center with club member Joyce Palmer as event chairman. 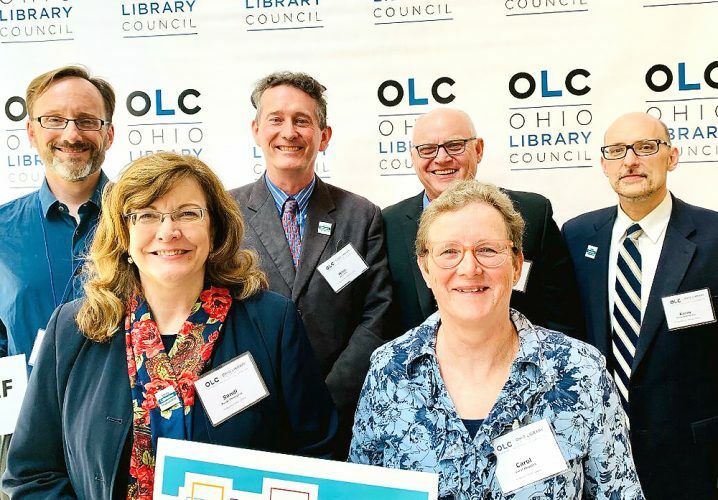 Federated club women from throughout Southeastern Ohio meet annually for Legislation Day, which is held throughout the state in each of the five districts. 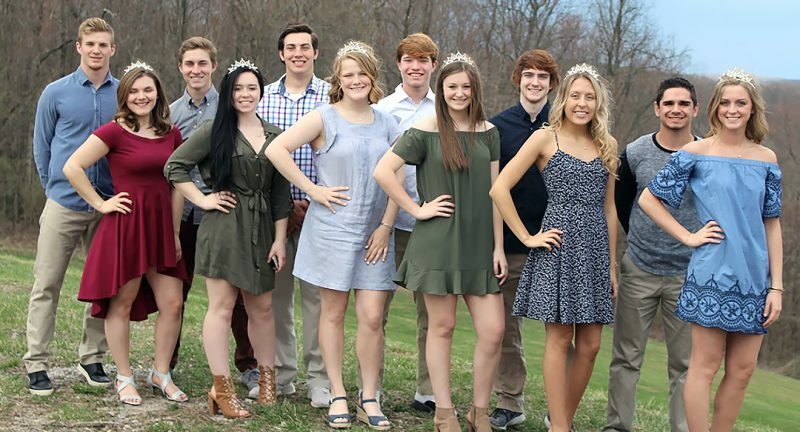 It is a time when clubs in a district receive recognition for their projects and programs completed in 2018 that had the greatest impact on their communities. Winners in each district are then sent to the state for judging, and state winners move to the general federation level for judging, competing with all the clubs nationally and internationally at the GFWC international convention in Austin, Texas. The 2020 Legislation Day will be hosted by the GFWC/OFWC Belpre Woman’s Club. Pat Ketzell, Southeast District president and a member of the Wintersville club, presided, and Sheryl Kay Peckens, district junior director, offered the inspirational. Mary Beth Allan, Wintersville club president, extended the welcome and conducted the roll call in her capacity as Southeast District secretary. Karen Hill, treasurer of the Wintersville club and registration chairman, gave a registration report followed by the blessing given by Barbara Grimm of the Wintersville club. 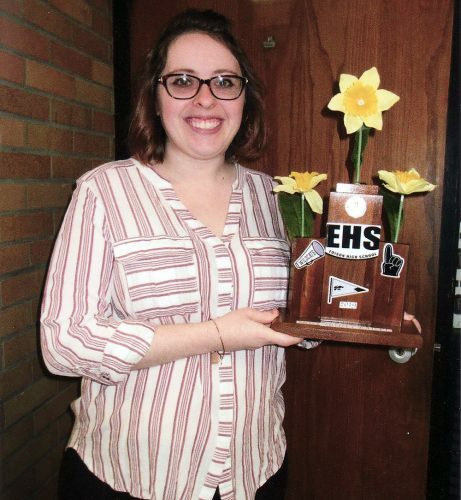 Among acknowledgments were Southeast District 2019 state awards. Winners were: GFWC/Jefferson County Women’s Club, first place; East Springfield Junior Women’s Club, second; Proctorville Women’s Club, third; the Junior Women’s Club of Barnesville, fourth; GFWC Woman’s Club of Mingo Junction, fifth; GFWC Internet Service Providers, sixth; GFWC Belpre Women’s Club, seventh; GFWC Wintersville Woman’s Club, eighth; and GFWC Circleville Junior Women’s Club, ninth. A number of district awards were presented at the event, many under the community service program headings in categories determined by the number of club members. The Wintersville Woman’s Club was honored in category four of 40 or more members for arts; conservation; education; home life; international outreach-UNICEF; international outreach-Shot@Life; public issues-USO; leadership; membership; communications and public relations; GFWC signature project domestic violence and awareness and prevention; and fundraising. The GFWC Woman’s Club of Mingo Junction, in category two, 14 to 19 members, received honors for international outreach-Shot@Life and GFWC junior special project, advocate for children. The East Springfield Junior Women’s Club was applauded in category two, 14-19 members, for public issues-USO, and for fundraising. Under Southeast District special recognition, the Steubenville Woman’s Club was honored for its generous donations to the community. Others were the East Springfield Junior Women’s Club, first report received; Wintersville Woman’s Club, clubwoman magazine article; Wintersville Woman’s Club and East Springfield Junior Women’s Club, OFWC Convention 2018 arts and crafts auction; and Winterville Woman’s Club and Woman’s Club of Mingo Junction, special recognition, the Buckeye Magazine article. Linda Crish is president of the GFWC/Ohio Federation of Women’s Clubs, and Esther Gartland, director of junior clubs. Local district chairmen, serving 2018-20, include Roetta Lewis, arts; Linda Nolf, home life; Janet Petrella, public issues; Deidra Devore, GFWC junior special project; and Mary Lou Jones, communication. Announcements of events were: OFWC annual convention, May 1-2, Embassy Suites Dublin/Columbus; GFWC International Convention, June 26-Juyy 1, Austin, Texas; Gold Star Mothers’ Pilgrimage, Sept. 29, Loudonville, Ohio; and NWD OFWC 125th anniversary, Oct. 11-12, Springfield, Ohio. The program included Peckens leading the junior pledge and Ketzell, the club collect. Allan introduced guest speaker Theresa Golden, city director for Refuge for Women, Ohio Valley, formerly Refuge 1:99. It provides aftercare for the trafficked and sexually exploited at a house in Jefferson County. Golden was part of the group responsible for opening Refuge 1:99, the forerunner of Refuge for Women, Ohio Valley. “We quickly learned you have to collaborate a lot to fulfill the needs of these women coming to our house so through that process, we joined Refuge for Women International. We are one of five safe houses throughout the United States with the goal of having a safe house in every state, so our house officially transitioned in December,” Golden said. Aside from one in Jefferson County, there is a safehouse in Kentucky, where Refuge for Women originally started, and also in Las Vegas, Chicago and Texas. Golden said she is speaking to and updating groups about the transition to operating under the umbrella of Refuge for Women International, founded in 2009, in addition to raising awareness about human trafficking. Ohio ranks fourth among the top five states in the country — California, Texas, Florida, Ohio and New York — for reported human trafficking incidents to the national hotline. Refuge for Women is a nonprofit, faith-based organization providing specialized long-term care for women who have escaped human trafficking or sexual exploitation. It offers up to 12 months of safe housing with 24 hours a day staffing. The three-phase program includes healing, recovery, individual counseling, life coaching and employment training. Residents of Refuge for Women are referred by frontline organizations. Each residential location can host up to six women. For information on ways to help Refuge for Women’s mission, visit rfwohiovalley.org.